Das W5F verpackt seine Funktionen und speziellen Features in einem geschmeidigen und 1.6kg leichten Design. Zusammen mit dem integrierten kabellosen Mausempfänger sind sie mobiler als jemals zuvor. Im Test waren vier Notebooks. Plus: gute Verarbeitung. Minus: Webcam-Probleme. Im Test waren sieben Notebooks mit den Bewertungen 7 x "gut". Es wurden unter anderem Kriterien wie Handlichkeit, Bedienung sowie Qualität getestet. Das Asus ist vergleichsweise groß und schwer, lässt das Testfeld aber in Sachen Rechenleistung locker hinter sich. Zudem vereint es jede Menge Ausstattung mit mehr als ordentlicher Ausdauer. 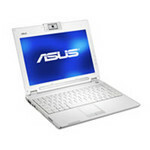 Was bekommt der Käufer also letztendlich mit dem Asus W5F? Zunächst einmal ein Notebook mit schlanken 12-Zoll-Ausmaßen, einem geringen Gewicht und trotzdem enormer CPU-Leistung. Design und Layout kann man als durchaus gelungen ansehen. Auch das Zubehör kann sich sehen lassen. Nun sprechen wir hier aber auch über ein Gerät, welches preislich über 1800 Euro angesiedelt ist. Ein Preis, welcher sich nicht allein durch CPU-Power und ein teures Betriebssystem rechtfertigen kann. In Punkten wie dem nicht fest schließenden Deckel, den zu harten Maustasten oder kleinen Unschönheiten in Verarbeitung und Handhabung leistet sich das W5F Fehler, die sicher nicht weltbewegend sind, in einer solchen Preiskategorie aber nicht unbedingt erwartet werden. Das W5F von Asus ist das erste Notebook mit der nun bereits dritten Generation der Centrino-Mobiltechnologie. Als solches ist es mit einem Core-Duo-Prozessor ausgestattet. Und auch ansonsten entspricht es wohl sehr genau einem typischen Notebook, wie Intel es sich vorstellt. Plus: Core-Duo-Prozessor eingebaut; Widescreen-Display; Integrierter DVD-Brenner; Zwei Akkus im Lieferumfang; 1,3-Megapixel-Kamera integriert. Say what you want about Intel’s iffy Pentium desktop processors, but with its latest mobile CPU, the awesome Core Duo, there’s simply no denying it: Intel has a killer on its hands. In a full-sized notebook Core Duo packs an impressive dual-core punch. When squeezed into the puny frame of a 12in ultra-portable, however, the combination of portability and massive grunt is faintly ridiculous. AMD’s competing Turion 64 mobile chip doesn’t stand a chance, even with the advantage of 64-bit data addressing extensions. Core Duo is a very fine thing and so, on the whole, is this diminutive Asus laptop. It’s extremely compact for a system packing a full-fat mobile processor. The W5F supports the complete range of Core Duo processors, right up to the T2600 2.16GHz chips. The Asus W5F is somewhere between being an ultraportable and just "portable". The W5F features a 12.1" widescreen glossy display, built-in optical drive, the Intel Core Duo processor and excellent battery life. It's a well built notebook with a nice design and is moderately priced at around $1,700. The Asus W5F design is very simple, it uses straight edges and clean lines. My model is black and there are no antennas or any other external features sticking out. I don't think it's as stylish or trendy as the Sony and not as business-like as the IBM/Lenovo ThinkPad laptops but rather falls somewhere in between those notebooks. Asus W5F is a definitive best buy for anybody looking for a small, slim, portable, durable and powerful notebook under $2,000! Elegant, kraftvoll und ein toller Gegenwert fürs Geld. With ultraportable laptops, manufacturers usually push for smaller and lighter machines, even if doing so requires the sacrifice of some features. But the Asus W5F is one of a new breed of ultraportables (which also includes the Dell XPS M1210 and the Lenovo 3000 V100) that retain a little bit of bulk and weight in exchange for a rich feature set and a larger screen size. The 3.9-pound Asus W5F provides a great range of multimedia features, including a built-in double-layer DVD burner, a 100GB hard drive, and strong, though not amazing, performance. Given its $1,799 price and stingy support policy, however, we have a hard time recommending it over similar models from larger manufacturers. The immediate comment our photographer made when he first saw the Asus W5F was, “is it for girls?” He has a point. The W5F is small, neatly formed and clad in iPod white, enhanced with some rather fetching blue lights. It’s cool, but looks wise it’s a world away from a masculine ThinkPad. However, it would be unwise to dismiss the W5F merely as a style affectation. With a 2GHz Intel Core Duo CPU there’s no doubt that this notebook punches above its fairly modest 1.6Kg weight. This notebook is currently available with Intel Core Duo T2300 and T2400 CPUs but this version featuring the 2GHz T2500 will be available from June. The suggested price will be around £1,399 but actual online prices are likely to be lower. The following is a summary, otherwise click here to head to the complete review. The complete review has MUCH more detail about features and design. Today on PC Perspective we are reviewing the Asus W5F 12" laptop. This review is the first of many more such reviews that will help you make informed purchasing decisions. So without further ado, here comes the Asus W5F. As far as a ultra-portable laptop goes, the Asus W5F has everything and then some -- an integrated camera, a bonus Blue Tooth mouse, and even digital audio output. Sure it does not play games very well, but I challenge you to find a 12.1" laptop that does!